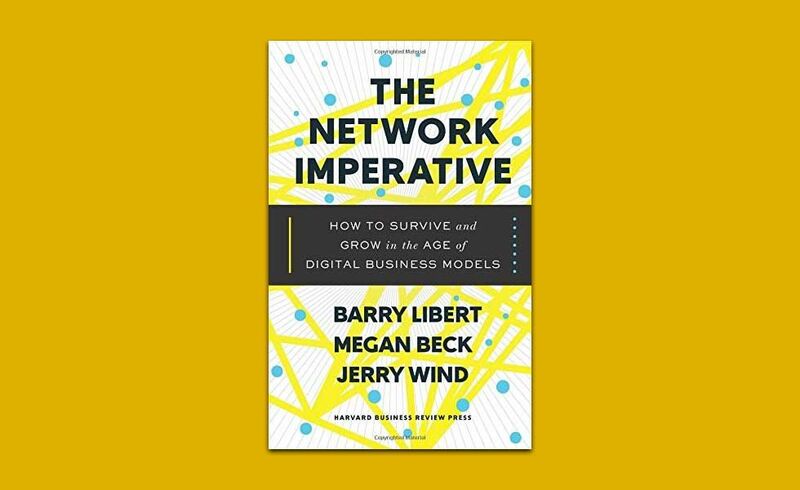 Authors Barry Libert, Megan Beck, and Jerry Wind guide leaders and businesses through the complex age of digital networks and offer valuable advice for creating network value in their new book The Network Imperative: How To Survive and Grow in the Age of Digital Business. David Slocum asks them 5 Questions about their insightful new book. The Network Imperative is a valuable call for leaders and businesses to adapt and prosper in the age of digital networks. What do you see as new about digital networks and what advantages do they offer? Digital networks, as opposed to the physical networks (highways, aqueducts, and even new broadcast networks) that preceded them, scale faster and less expensively. More importantly, they enable the two-way exchange of information, goods and services (Uber, Airbnb and Facebook) which in turn crates more value with each new participant. Lastly, digital networks are much less expensive to build and operate because they rely on today's existing hi-speed, broad band Internet and the assets of all of us - our skills, our knowledge, our assets - cars, homes - to create value. A major section of the book describes ten principles, from technology to mindset, for creating network value. Can you say more about how they capture the contemporary shift from legacy firm to network organization? Of our research of 1,500 small, mid- and large-size companies, 98% have what we call, a 'Firm Centric' business model. Think of it as an 'inside out' model. They focus on what they can make, market and sell - be it goods or services. Today's newest winners are 'Outside In' or ‘Network Centric'. Companies like Amazon, Alibaba and Even the NYSE provide their customers with digital platform to exchange their own goods, services, knowledge and financial assets directly with each other. For that reason, they scale with little marginal cost and benefit from network economics as opposed to economies of scale. You offer a pragmatic approach to designing and implementing network business models that will allow businesses to thrive in the new normal of networks. How are these different from (or similar to) more traditional business models? Track your network business model with new metrics including number of participants, engagement, and revenue share. What are typically the greatest challenges or obstacles for businesses wanting to pivot and become digital networks? How do you recommend overcoming these? The biggest challenges we observe are leaders' own existing mindsets -- what we call their 'mental models' of how things are or should be. Mental models are comprised of industry-based assumptions about how organizations create value for themselves and their customers. But existing industry and organizational mental models are being upended. Uber upended the taxi industry, Airbnb is upending the hotel industry and Amazon, the retail industry. We recommend that all leaders examine their underlying beliefs, attitudes and assumptions and test new ones that more clearly reflect today's digital realities. The book closes with helpful and concrete advice on becoming a network leader. Can you please summarize some of your ideas about how leaders must think and act differently in order to succeed in an environment increasingly defined by digital networks? We found that business models (physical versus digital and firm versus network centric) are based on leader's mental models, so we recommend that all managers and leaders follow a 5-step process that we call 'Inversion'.